Your new handmade rug is a long-lasting investment. To cover those times that life happens, Consider the three year Mafi Protection 360° exclusively at Seldens. Your peace of mind is worth it! Three years of worry-free protection* against covered accidents. Application of the state of the art sealer by Fiber ProTector. Most accidental stains**, including food, beverages and bodily fluids. Most accidental damages**, including loose or unattached fringe, loss of tufts, and unraveling edges. providing an effective barrier against all kinds of organic fluids, dust or debris that, on unprotected material, could result in permanent stains. When protected, fine and light-coloured colors can be used with confidence that would usually be hard to maintain. 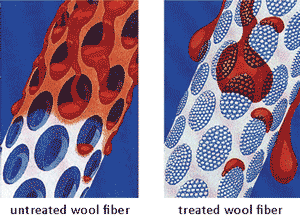 It also helps reduce the damaging effects of UV radiation, static electricity and other abrasions that would otherwise fade and fray fibers. As well as the practical benefits of beautiful surroundings, a clean and hygienic area helps to reduce sickness, and the treated carpets will subsequently last longer and with greater appearance retention. Once a rug has been protected, airborne irritants are defused because vacuuming becomes more efficient in these areas. Fiber ProTector products are IMO-certified by Veritas, and have been tested by independent research organization Sintef, Dunlop Precision Instruments and the Norwegian Institute of Technology. The test results approve Fiber ProTector for use on aircrafts, ships and offshore installations, where it meets the strongest requirements. Want to learn more or schedule an appointment? Call us directly at 800-719-6840 or email us at sales@MafiInternational.com.